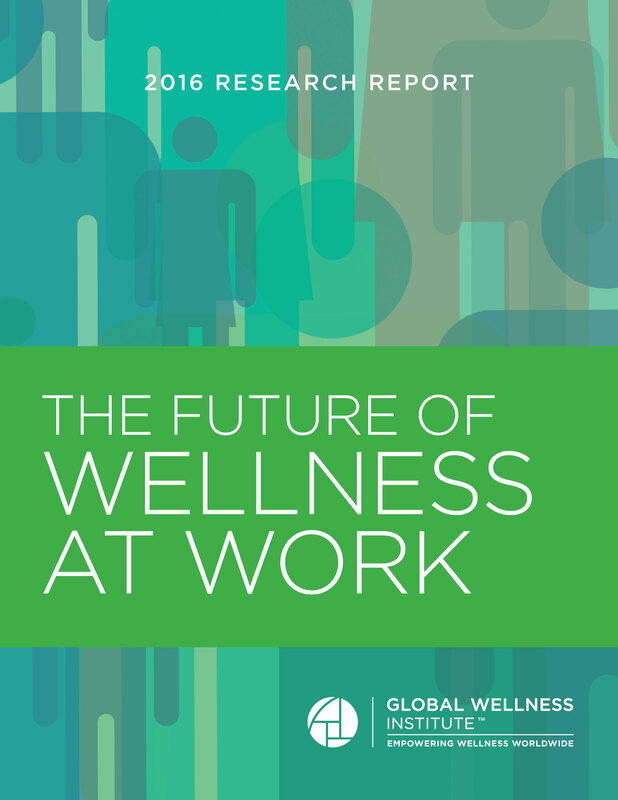 This study examines the current state of wellness in the global workforce and predicts what the future of work will look like. It makes the case for why wellness will matter more in the future, and also presents a new vision for wellness at work as well as a framework for actions that will help improve workforce health and unleash human potential. This report also includes a survey of over 600 full-time workers in the U.S., conducted by Everyday Health in partnership with the Global Wellness Institute. Most of the world’s 3.4 billion workers are unwell. They live with serious economic insecurity: 74% make less than $13/day; 45% are in low-skill/manual jobs; 77% are in part-time or unstable jobs. They’re aging at an historic rate: 18% of the workforce will be over 55 by 2030. They’re unhealthy: 52% are overweight/obese, and 76% report they’re struggling with their wellbeing. Only 9% of the global workforce has access to some form of wellness program at work. The breakdown in penetration: North America 52% of employees, Europe 23%, Middle East/North Africa 7%, Latin America/Caribbean 5%, Asia 5% and Sub-Saharan Africa 1%. The U.S., where companies pay for employee healthcare, is by far the largest market and innovator, but as chronic disease skyrockets globally, and healthcare costs (paid via taxes) spike in markets like Europe, the GWI predicts significant growth in global workplace wellness spending in the next decade. Worldwide, the cost of unwell workers represents 10-15% of global economic output. The GWI estimates that in the U.S., when you tally the cost of employees’ chronic disease ($1.1 tril. ), work-related injuries/illnesses ($250 bil. ), work-related stress ($300 bil.) and the cost of work disengagement ($550 bil.) that an unhealthy workforce costs the nation $2.2 trillion a year, or a staggering 12% of GDP. The GWI report forecasts the many ways that work will change in the future. Hierarchical management structures will be replaced by models giving employees greater autonomy and accountability. Long-term, stable jobs (at set locations/hours) will give way to an increasingly virtual and “free agent” workforce. As older workers retire later, the workforce will be intensely multigenerational: by 2020 teens and employees over 70 will work side-by-side. The most profound shift: the Information Age will be succeeded by a “Wisdom” or “Human” Age: as robots and Artificial Intelligence coopt many work tasks, qualities not replicable by machines (collaboration, creativity, empathy, constant learning, etc.) will be in high demand. And these qualities demand the highest level of mental and physical wellness. We thank our Industry Research Sponsors: Achievers, Blackhawk Engagement Solutions, Bon Vital, Clarins, Compy Co., DELOS, ESPA, Hydrafacial, Hydropeptide, Massage Envy, Pantheryx, Rancho La Puerta, Spafinder Wellness 365, TheBodyHoliday, Treatwell, and Universal Companies. If you are interested in sponsoring GWI Research click here.